We often place our musculoskeletal system under intense pressure, especially if we do a repetitive activity or take part in strenuous activity. 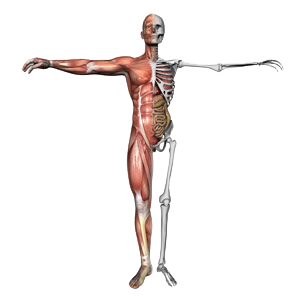 Whilst for the most part this complex arrangement of bone, cartilage, muscle, ligaments, tendons and soft tissue can bend, stretch and flex to accommodate movement, musculoskeletal injuries can occur. Injuries can vary in severity and musculoskeletal pain can be anything from a minor twinge to severe pain. In order to ascertain the extent of your injuries you will need a musculoskeletal assessment of your pain and/or injury. You can read more about common injuries here. Musculoskeletal Physiotherapy firstly includes a detailed clinical examination. Your Physiotherapist will then be able to utilise a number of skills that can include joint and soft tissue mobilisation/manipulation and a rehabilitation programme to enhance your recovery. Acupuncture is sometimes utilised in combination with these techniques for pain relief. Physiotherapists have undergone years of training to learn techniques which work on the joints, muscles, ligaments and tendons within the body. After an injury, operation or just through lack of use joints can become stiff, muscles can become tight and ligaments/tendons less mobile. Manual therapies and exercise can address these problems restoring movement in joints, length of muscles and mobility of nerves. Along with setting you exercises this treatment can help prepare your body to resist the stresses of daily activities and sport. The assessment by the physiotherapist will determine which techniques they feel will benefit the most. This can be a combination of exercise, mobilising the joints, soft tissue release techniques, advice and education, postural awareness and acupuncture.